No more climbing on loads! 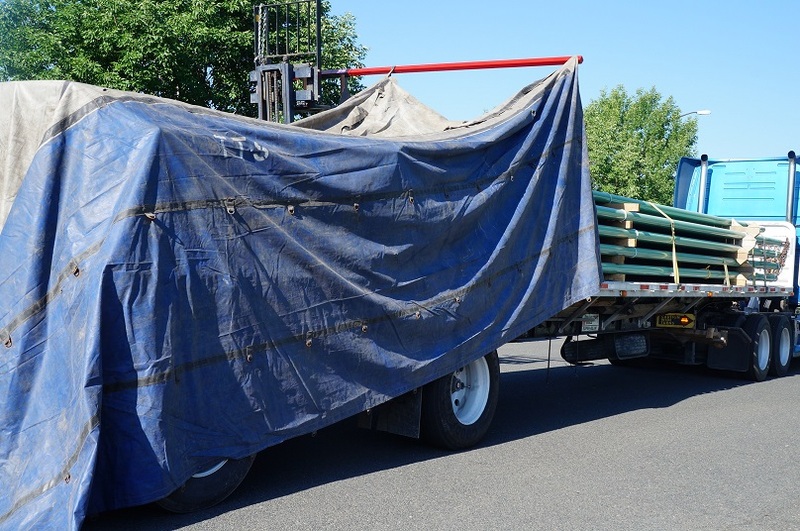 Premier's Mobile Tarping System eliminates the fall hazard by allowing you to tarp from the ground! The most affordable tarping system on the market today, this lightweight systems requires nothing more than a forklift. Options available - contact us today for pricing!